With the figure, the RoK topped the list of 82 countries and territories investing in Vietnam in the period, according to the Foreign Investment Agency (FIA), under the Ministry of Planning and Investment. Notably, several large-scale projects undertaken by the RoK registered to increase their capital in the January – April period. 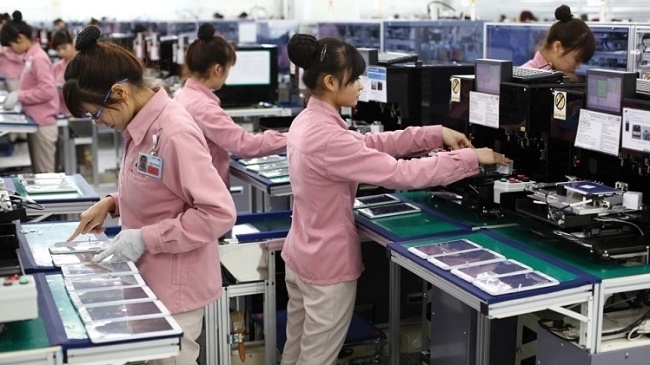 For example, LG Innotek proposed adding US$501 million to its camera module production project at Trang Due industrial park in the northern port city of Hai Phong, raising its total registered capital to US$1.05 billion. Meanwhile, Kefico Vietnam Co. Ltd. registered to raise its capital by US$120 million for its project in the northern province of Hai Duong, which specializes in manufacturing components and accessories for motorised vehicles. Recently, the Korea Trade-Investment Promotion Agency (KOTRA) revealed its plan to move its main headquarters in Southeast Asia from Singapore to Hanoi in order to support Korean firms conducting business in the rapidly growing market. KOTRA stated that the decision was made in consideration of the growing number of Korean companies that are currently based in Vietnam or those that plan to invest in the Southeast Asian nation in the near future. According to KOTRA, bilateral trade between Vietnam and the RoK reached US$63.9 billion in 2017. Vietnam is now the fourth largest trading partner of the RoK, while the RoK is Vietnam's second-largest partner. The agency also plans to open new business centres in Ahmedabad, an industrial city in western India and in Da Nang, a commercial hub in Vietnam’s central region. KOTRA will expand its business centres in promising markets to keep abreast of the changing trade environment, said CEO Kwon Pyung-oh. At a recent meeting between Vietnamese and Korean businesses in Hanoi, many of the RoK firms highly evaluated Vietnam’s investment environment and incentives. Gunjae Kim, chairman of the RoK’s Hwasung veterinary medicine company, said that a lot of the RoK firms operating in various fields have made inroads into Vietnam. He hailed Vietnam’s investment attraction policies that have led to improvements in the business climate. At present, Hwasung has not planned to open a manufacturing factory in Vietnam, but it wants to seek trade opportunities and promote import-export activities with Vietnamese businesses, he said.